I hope you all had a wonderful Thanksgiving with those you love. David and I have been enjoying time with family in Chicagoland – and it’s been fun to finally have a reason to bundle up in wool, suede and (faux) fur! 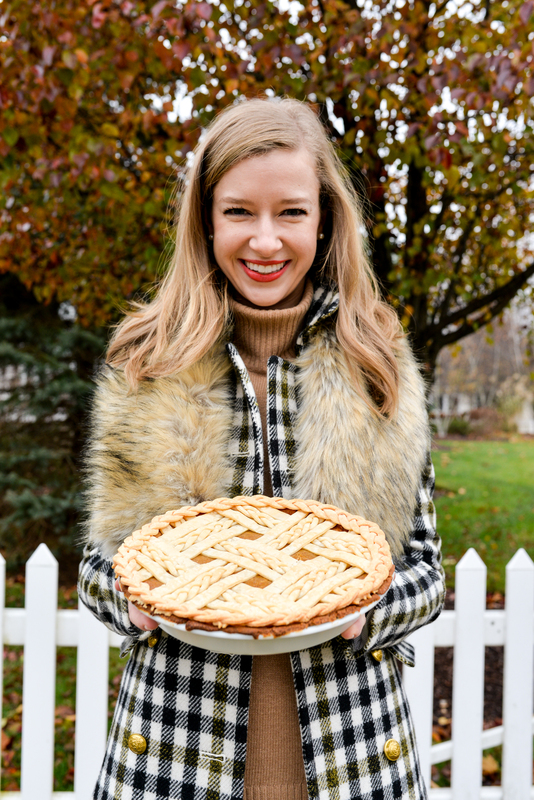 Since I got so many messages about this outfit on Instagram, I thought I’d put up my first outfit post – paired with my favorite accessesory – homemade pumpkin pie! Photos by David Flinner for stacieflinner.com.